We import a range of Ayurvedic Products including Kerala Preparations, so if there are specific products you require, please let us know and we can inform as to pricing and availability. All International Orders are given in $USD. with your enquiry as to the herbs or Ayurvedic formulas you require, or with your ailment and we can give you guidance. Note all prices EXCLUDE shipping! 100% Natural and Herbal, this face-cream helps remove black pigmentation on the face, caused by acne etc. and helps leave the face and complexion looking great. 100% Natural and Herbal Face-pack for pimples and other skin problems. Can be used mixed either with milk or rose-water for best results and removed after half an hour. Ayurvedic Products in Christchurch, New Zealand. Christchurch Ayurveda Products, medicated oils, ghees, powders. 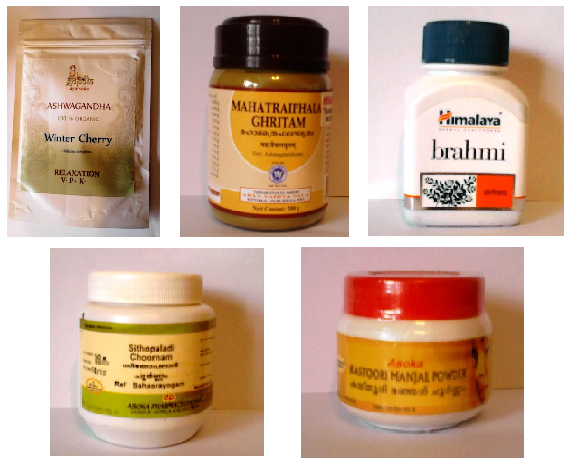 Triphala Churna, Ashwagandha powder, Cough and Cold Formulas, Cataract medications. 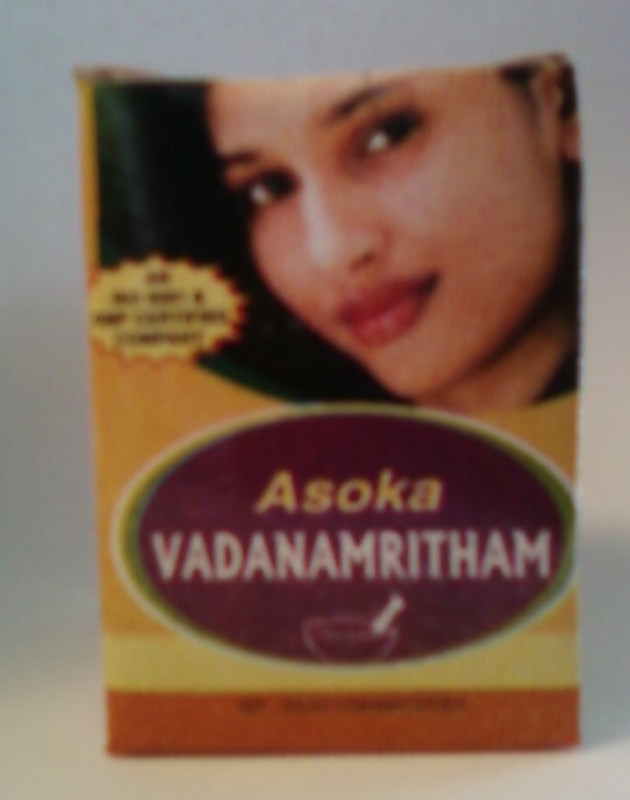 Ayurveda Ayurvedic Products in New Zealand. Below are our Monthly Featured Products. Subject to stock supplies, so sometimes there is a delay of 1 - 2 weeks if we are reordering. Note all prices EXCLUDE shipping costs, so please let us know your location upon contacting us. We use NZPOST and we can combine shipping in NZ. Some of our items are shipped directly from our New Delhi distribution centre. Delivery times for Standard Post are between 10 - 14 working days and for DHL (on larger orders) between 4 - 7 working days. Sometimes delays are longer due to freight issues and also customs. Orders over USD $50.00 are shipped with DHL, while below USD $50.00 are shipped by International Standard Post. Note: Due to Customs restrictions, with some items shipping to the USA as Rasa (Mercurial) preparations, (due to FDA Regulations) are prohibited, as also to Germany, UK and Canada. Please check with your local Customs Authorities before placing orders. Ayurveda and Yoga both use tongue scrapers on a daily basis. Not scraping the tongue in Ayurveda is seen as comparable to not washing one's face! By scraping the tongue after we brush our teeth, we remove toxins and build-up on our tongue, removing congestion and also stimulating the digestive system. Every health-conscious home should have one! Ashwagandha (Withania somnifera) is a common herb used in Ayurveda for lowering Vata, the wind humor. It is useful as an anti-anxiety formula, for aches and pains and as a general tonic. 3 gms can be taken with warm milk as a daily tonic. Sitopaladi Churna is a natural alternative to colds and flus and is also used for fevers, coughs and sore throat also. This powder is usually taken with honey, up to 3 grams, three times daily while symptoms persist. 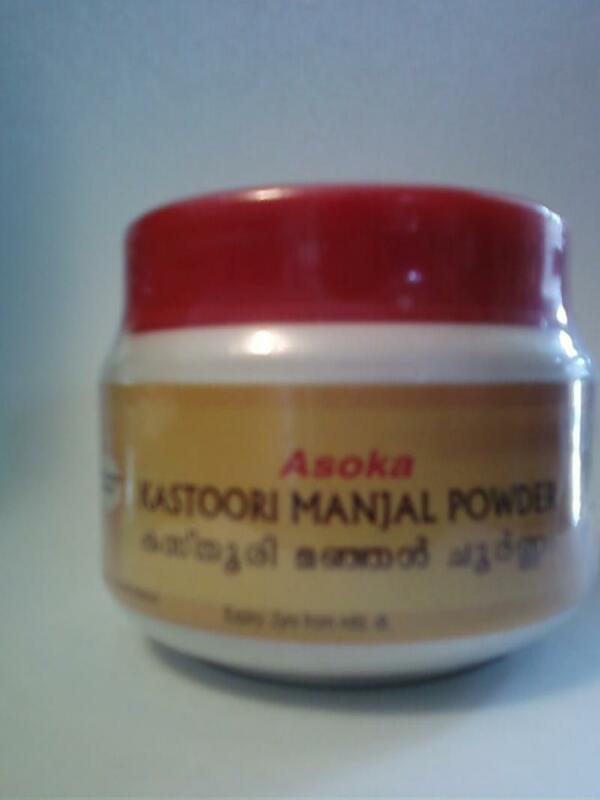 Hingwashtaka powder is a special formula based on Hing (Asafoetida), aimed at lowering gas and bloating causing constipation, especially in Vata type people and also helps releive headaches and aches and pains along with gas and constipation, which are caused by the latter (Vata accumulating in the colon). 1 - 3 grams can be taken with food and warm water. Triphala powder is a universal laxative in Ayurveda and regulates prana or life-force and absoption of the colon. It is also effective in eye diseases and inflammatory conditions also. 3 to grams can be taken with ghee or warm water before bed to keep one 'regular' and also helps in eyes. It can also be used as an eye and mouth wash also (rubbing on the gums for gingivitis). Brahmi (Barcopa monniera or Centella asiatica, depending on the variety) is commonly used as a herb for the mind in Ayurveda for all kinds of mental disorders, especially improving memory, depression, anxiety (when taken with Ashwagandha) and mania. It is the basis of many formulas for the mind. 1 - 2 capsules can be taken with warm milk daily. Trikatu (three pungents) is a spicy mixture for sluggish digestions and weak metabolisms in Kapha types and helps remove excess mucous and phlegm from the body. It is useful in cases of diabetes, obesity and also coughs and colds as well. It is one of the main formulas to help prevent besity in Ayurveda and effective when used along with a Kapha-reducing diet for helping stimulate proper metabolism. Shilajit is well known for it's properties in rejuventing the kidneys and is used in cases of diabetes and kidney stones, helping to lower blood sugar levels and also break up stones in the urinary tract, as well as being a general rejuvenate weak kidneys, for the mind and body and considering an anti-aging formulation. Shilajit is a special asphaltum that comes from Himalayan rocks. 1 -2 capsules can be taken daily. Trikatu meaning "three pungents" is a common formula used to help reduce excess kapha or phlegm in the body, including weight loss and acts as a digestive stimulant for sluggish digestive systems. 1 - 2 tablets can be taken daily. Mahayogaraja Guggulu tablets are crushed and used along with honey, 1-2 tablets up to three times daily for pains, low metabolism and especially rheumatic issues as arthritis and also sciatica and other nervous pains and is a common powerful pain-relieving (analgesic) in Ayurveda. It is a more powerful formula than the commonly used 'Yogaraja Guggulu' having similar properties. Both are also useful for stiffness and issues with flexibility in the joints also, as in Yoga practice. Netra Amritam means "nectar for the eyes" and is composed of special Ayurvedic herbs for making the eyes feel rejuvenated and are good for eye strain, irritation, burning and sensitivity to light. 100% herbal, this formula is useful for those working with computers daily, where there is much eye strain and overuse. Mahatriphala Ghrita is a more powerful formula than the commonly known 'Triphala Ghrita' and is specific for glaucoma, cataracts and inflammations of the eyes. It is traditionally taken one tablespoon daily along with milk, but also is used externally in the Ayurvedic practice known as 'Netra tharpana' where it is used to bathe the eye. Neelibhringadi Taila is a powerful formula used to restore hair growth and is common in the southern Ashtavaidya system in Kerala, as a localised preparation. One may use this daily as a hair oil or use it on the head before bed, leaving it on for at least an hour. It helps greying and premature balding of the hairs. Pinda Taila is commonly used for gout (vatarakta in Ayurveda) as well as pain and swelling, especially in joints and helps releive pain. It can be warmed and applied on the area or used as a massage oil in treatments. We import a range of Ayurvedic Products, so if there are specific products you require, please let us know and we can inform as to pricing and availability. We can usually ship items not currently on stock in around two weeks*, sometimes less, depending. *We take no responsibility for items held or confiscated by Customs or Immigration authorities in your country. Please check with your local authorities if you are unsure about import regulations and licensure. All orders must be paid for in full by Paypal BEFORE items are shipped. We will send your and Invoice with order confirmation. NO INFORMATION PROVIDED HERE OR ANYWHERE ELSE ON THIS SITE IS INTENDED TO PRESCRIBE, DIAGNOSE OR CURE ANY DISEASES AND IS PURELY FOR EDUCATIONAL PURPOSES ALONE, BASED UPON TRADITIONAL AYURVEDIC FORMULAS AND PRACTICES AND IS MEANT FOR PURPOSES OF GUIDES TO USAGES OF MEDICINES AND FORMULAS ALONE.